With a season's end that is black and white contrasted to last years end where they lifted the Premier League Trophy, Manchester United have gone from being the noisy neighbours to the ones that phone the police when irritated by the noise of their Sky Blue neighbours. This season saw the unfamiliar sight of a Fergie-less touchline at Old Trafford, instead the touchline at the Theatre of Dreams saw a Scotsman who never lived up to his predecessor, and the class of '92 reunite to help united. Now with the season over and United eager to start work with Louis Van Gaal, the problems that floated around Old Trafford like litter in the ocean have to be cleaned out, with a fresh start to the season having to be the main priority. The question of the moment for United is who should they bring in to create dreams again at the theatre that is Old Trafford. With no invite to the exclusive European feast known as the Champions League to attract players next season, it may be hard for the Red Devils to convince players to join, but none-the-less here are the players Manchester United should target with their supposed war chest of 200 million pounds. The hottest property in England right now, Luke Shaw has earned that label by being an important cog in the machine that is Southampton. The 18 year old has caught the eye of the English giants as well as other clubs including neighbours Manchester City and Chelsea. 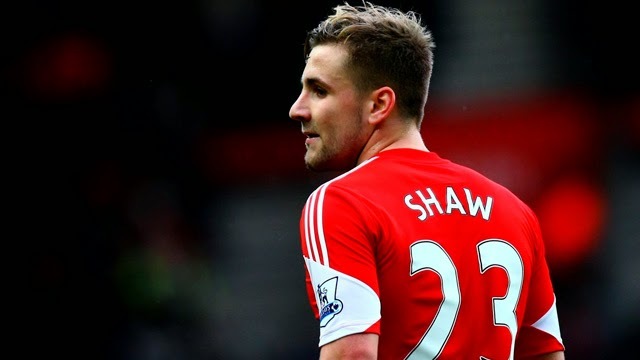 Shaw has received praise for his attacking threat down the left touchline and being sound defensively. The Englishman would add a flair to the United wing with his pace, agility, crossing ability and delicate dribbling. Shaw has used these attacking aspects of his game to create 31 chances for his team. The Southampton 23 is also not afraid to take defenders on, using his quick switch of pace to leave them in his dust, a true menace to defences. The Left back in the PFA Team of the season's defensive side is also sound for someone of his age and experience, having good timing for challenges and isn't afraid to take . The attacking instinct and defensive sense would make the Southampton star shine bright in the Theatre of Dreams. One of the cornerstones of the Roma team that was been a surprise package last season in Serie A, Morocco International Mehdi Benatia is one of the most wanted defenders in Europe right now. The Roma Center back was the warden of the jail that was the Roma defence, having applied lock-down to many sides last campaign. There are various attributes that have made Benatia a rock at the back for his side. The Moroccan has great strength which he uses to out muscle attackers and applies it to make powerful challenges. Benatia is a very good reader of the game, reading plays like a book. He uses this god-given ability to make crucial interceptions and knowledge of when to make a challenge on an attacker. Another attribute that makes the Moroccan special is that he is also good with the ball at his feet, as he is able to dodge tackles and charge down the middle of the park like a rhinoceros. With the departure of Rio Ferdinand and Nemanja Vidic, Medhi Benatia is very much needed at Manchester United, and would be a great addition to the 20 time champions. The forgotten man last term, Javi Martinez's defensive midfield role acts as armour to the back four, an area that left flesh exposed last season for Manchester United. The Spaniard last season was rarely used by Pep Guardiola, making just 14 starts for the Bavarians in the Bundesliga. Martinez's importance to Bayern Munich was reflected as in the 4-0 demolition Real Madrid gave Bayern in the Champions League Semi-Final at the Allianz, as it seemed there was a black hole in the middle of the park, no one to stop the Real Madrid counter attacks. Javi Martinez is versatile, able to play as a center back or holding midfielder, with hi being strengths tackling and reading of the game. The Spaniard is best deployed though as a screener in front of the back four, where under Jupp Heynckes in the treble winning season martinez broke down many plays through crucial interceptions and tackles. In a position that was weak last term for Manchester United, Javi Martinez would be a perfect addition to the team, being an important piece of the jigsaw puzzle. His ability to sit in front of the back four and protect them would make him a great signing for the English giants, adding depth to a thin midfield. One of the positions United need a top player in, Blaise Matuidi would be a top acquisition for United and add defensive quality that has been missing this season. Playing a key role in PSG's midfield triangle, being an accurate passer of the ball, strong defensive attributes and great at holding up the ball, the Frenchman would fill a great hole that lies in the middle of the park for the Manchester based club. Matuidi would be reluctantly let up by the Qatari based club that is Paris Saint Germain, but would be sold if the right offer were to come in. A transfer target for a top host of many European sides, Ilkay Gundogan is a valuable asset to the German powerhouse that is Borussia Dortmund. A quality midfielder, Gundogan assisted Dortmund to the final of the Champions League in 2013 (Where he coolly dispatched a penalty into the back of the net), and the Bundesliga title in the 2011/12 season. Although having a successful individual 2012/13 season, the Germany International has been unable to back it up again suffering a long-lasting back injury, having played only one game, and his major contribution to the team being signing his name at the bottom of a new contract. The German may have only played one game, he is still a world class player, and one that would slide into the midfield of United like a jigsaw piece. Wanted when he was the Catalyst of Udinese by United, the young Serie A Player of the Season resisted the forbidden fruite offered by the Red Devil's and chose La Liga Giant Barcelona, but it has been a rocky road. 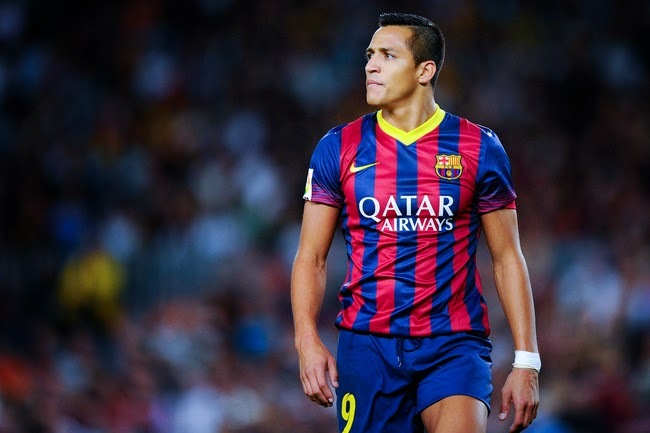 Although the Spear-head of the Chile team enjoyed his best season in the famous red and blue under Tata Martino, Alexis had been reverted to the bench for the season defining games such as both Atletico Madrid ties in the Champions league, all El Classico's (Even though he came off that warm bench to score the winner in the first last year), and both ties against Manchester City in Europe. . The Chilean winger is an electric player who leaves players in his dust, speeding past them like the road runner. Sanchez is also a magician when in the oppositions half, producing moments of magic like his chip against Real Madrid and his goal against Atletico Madrid for the last game of the season. Having scored 19 goals in 34 appearances in La Liga, 7 of those appearances off the bench, along with 10 assists, Sanchez can be the difference in a match, and that is what Manchester United look for in a player. Alexis is a player that appreciates being valued and seen as an irreplaceable cog in the machine, and that's why if United make a strong approach and effort for him, he could be the Romeo to the United fans Juliet. Top of the most wanted list, Marco Reus is wanted for counts of lightning speed, delicate dribbling, precise passing and fine finishing. The Borussia Dortmund attacker is the top of Manchester United's Manager in waiting, Louis Van Gaal's wishlist, and it wouldn't take a rocket scientist to see why. Having spent two years in yellow and black, Marco Reus has gone on to become an important cog in the dortmund side, playing an integral part in their road to the champions league final of 2013 and the campaign that ended in heartbreak after scoring a brace at the Westfalondon against Real Madrid. Although Marco Reus and Borussia Dotrmund look to be in a love story, if United enter, it could become a love triangle. The German's flair and pace would fit Manchester United's attacking philosophy like the last piece of the jigsaw, fitting in with ease. If Reus joined the red devils he would slide in like the last piece of the jigsaw, completing the picture.